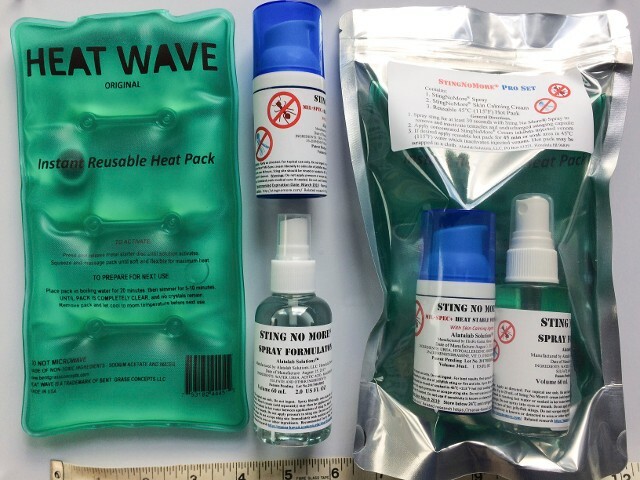 Our mission is to develop research-based sting-relief preparations for public and professional use. 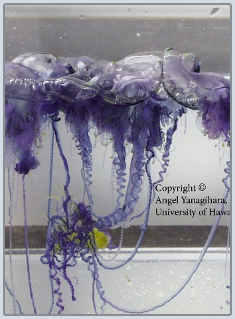 Our research based product line provides rapid relief for stings of all classes of jellyfish including box jellies http://www.mdpi.com/2072-6651/9/3/105 . For a quick purchase of one of our top selling products, there is now a single function PayPal BuyNow Button. Add To Cart button and the convenient Shopping Cart at the bottom of this page. Please email any questions or requests to receive the full Product and Price List. 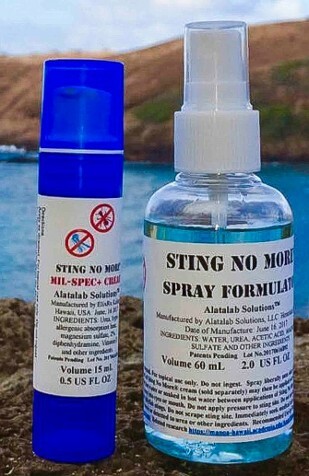 Many Oahu dive shops and ABC Stores carry StingNoMore® products (list below). 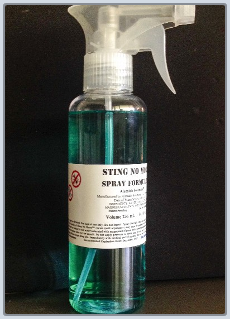 Announcing NEW EcoFriendly Glass Spray and Cream Dispensers! 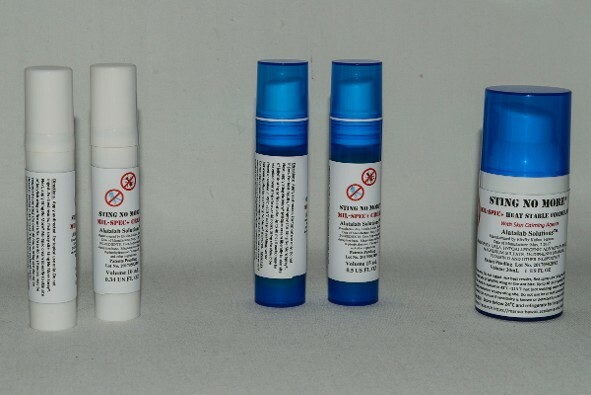 New airless pump for Mil-Spec+ Cream in 10, 15 and 30 ml Sizes! Increased cream shelf life in NEW non-messy, easy to dispense pumps. 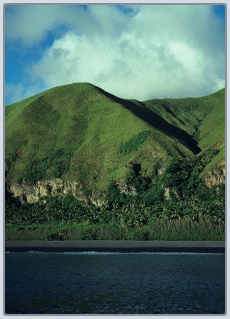 (SKU19256344) StingNoMore® MilSpec+ Cream is a greaseless concentrated cream with Skin Calming Agents compounded in a patent-pending cream formulation containing urea and other ingredients including 2% Diphenhydramine and Vitamin D.
Hanauma Bay Gift Shop, ElixRx Pharmacy and Aarons' Dive Shop in Kailua. ABC Store #14, 2456 Kalakaua Ave. 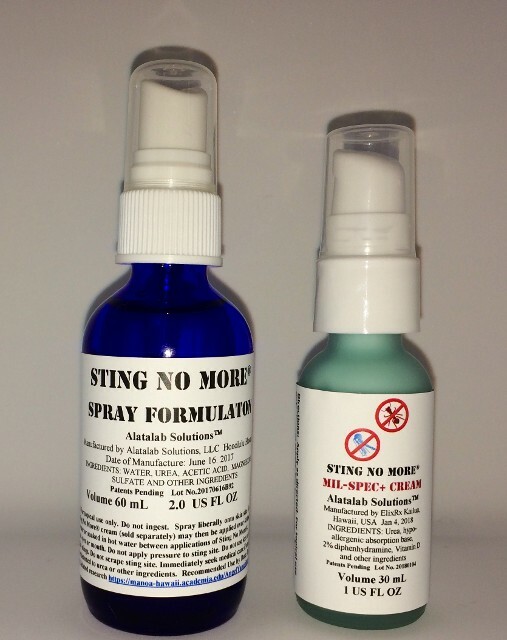 Please note that Sting No More® Cream should be stored at room temperature or refrigerated until use. Unopened products in original condition may be returned within 2 months before or after the expiration date for new product replacement or full refund. 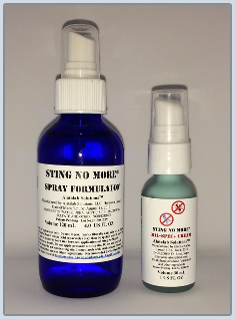 Sting No More® Spray is heat stable. 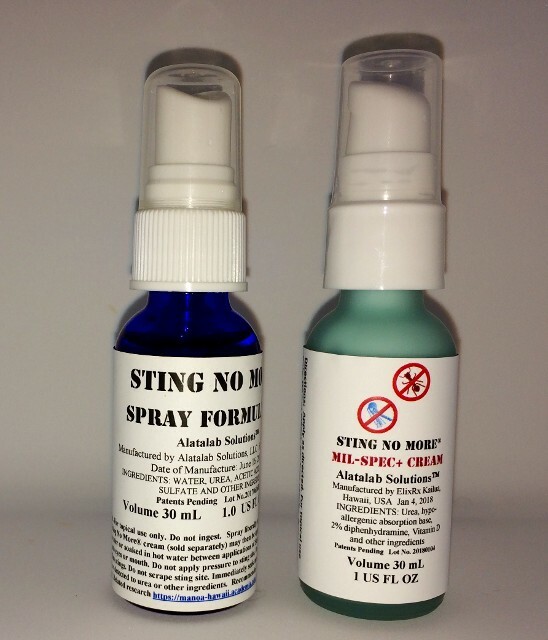 Alatalab Solutions™ specializes in venom research and the development of over-the-counter (OTC) preparations to provide relief from jellyfish stings and fire ant bites, as well as pharmaceutical preparations for professional divers and clinical applications used by health care professionals. At Alatalab SolutionsTM , state-of-the-art research tools are used to develop and test specific inhibitors of dangerous venom toxins and treatment approaches for envenomation sequelae. 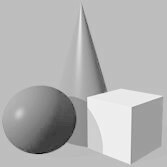 Our novel, peer-reviewedhttp://www.mdpi.com/2072-6651/8/1/19/pdf, patent-pending formulas were initially developed for clinical and professional use. After years of research and testing, we are pleased to offer our products to consumers. 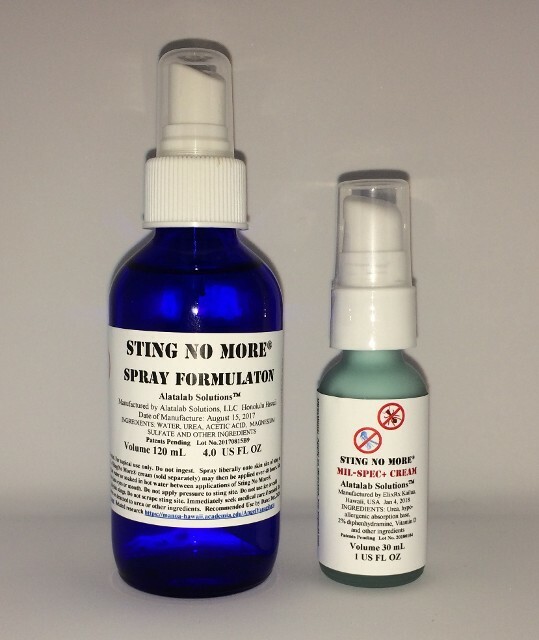 Sting No More® is an over-the-counter "cosmetic-category" relief cream. It is fully FDA and FTC compliant. 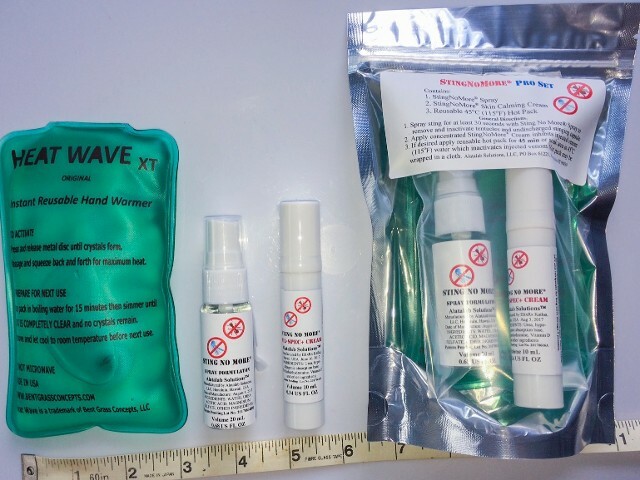 All ingredients are Generally Recognized as Safe (GRAS) for topical use in over the counter skin relief products by the FDA. All ingredients are pharmaceutical grade in purity. No colorants, preservatives or fragrances are used.